Sheila is the founder of B.O.F.A. Promoting Creative Unity, the Belfast Organization for Artists was created in memory of Amanda Nicole Curcio, to increase awareness and participation in the arts in the Belfast, NY community. 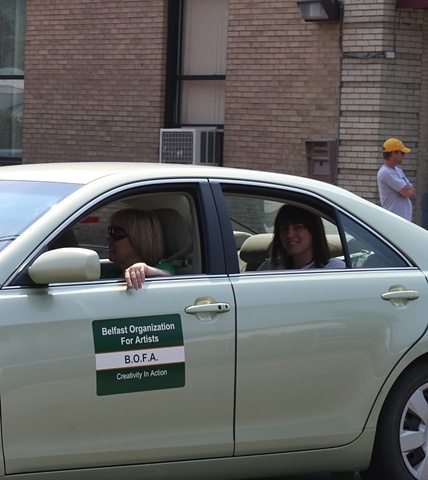 Sheila and other members are shown here in the BOFA car during the Memorial Day parade.